Opinion: What Pain Homework Can Cause! I think we should do something about the homework load or how we have to carry it around. I have two big binders and one small binder for CCV plus three textbooks for classes in my backpack which is hurting my shoulders and back. Two of the textbooks are barely being used so I think if we don’t need them then we should be able to leave them at school. 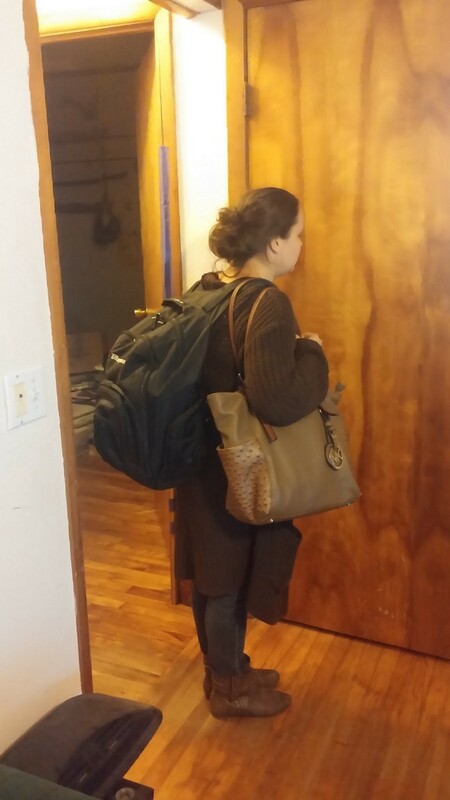 Everyday I have to carry a lot of stuff and it is really causing a lot of pain physically to my body. I think that schools don’t really think about weight and how much pressure it puts on our bodies. I got a few U32 students to volunteer to have their bag/backpacks weighed and then I sent a survey to those students to get their opinion. Five of the six students thought we are getting too much homework, that homework is the reason our bags are so heavy, and that our bags cause pain to our bodies, at least sometimes. What are the classes that causes the homework load? In students’ opinion, what can teachers and staff do better to help decrease our shoulder and back pains from our bags? Let’s hope our teachers think about this as they load us with work.